Michigan Construction just celebrated our second anniversary and we realize that not everyone knows exactly who we are or what we are doing for the construction industry. So, we have decided to write a little article to fill everyone in. As we analyzed the industry five years ago it became clear that the construction industry is headed towards a critical labor shortage. (Industry Forecast) The economic conditions and historical industry practices had not yet prompted the construction industry to invest in workforce development outreach on a massive scale. We are a "silent" industry that gets things done and then moves on to the next job, not really taking time to brag about the amazing things we accomplish. The average age of the construction workforce continues to rise with 25% of the workforce set to retire in the next 10 years. It is amazing that in an industry with so many innovative enterprising individuals there seems to be such a low level of interest in looking years down the line at developing their future workforce through nontraditional means. The need for workers is here and now and companies have to make it happen in order to get the job done NOW. Frequently, completing the current project/task at hand overshadows the actual severity of the workforce situation we will be facing in the years to come. Construction is in a tough fight for workers, going up against big IT & computer companies, health care and manufacturing industries. The construction industry is different because we are many companies looking for a few workers each versus one big company (such as GM) looking for hundreds. These big companies spend millions of dollars promoting workforce through various means, and in comparison, the construction industry was virtually nonexistent in this space up until a few years ago. As individual companies we are a small voice how can we even compete with these other industries. Knowing that this industry is bottom line & project by project minded, we developed MICHIGAN CONSTRUCTION, a statewide marketing and branding campaign for construction careers. Many industry partners sharing reasonable fees to produce a large industry voice that can send a positive, clear and accurate message about careers and training in the construction industry. We are a non-profit 501 (c)(3) company and our entire mission is to connect individuals across Michigan with careers and/or training opportunities in the construction industry. The key ideals of MCF are to UNITE and INSPIRE! INSPIRE individuals to want to connect to the many jobs, training and education opportunities in the construction industry. We are doing this through a statewide awareness, communication and image branding movement to promote all types of construction careers. We use digital video marketing, television, radio, social media and our website and blog articles to promote a positive image, provide education and to dispel myths and misconceptions about the construction industry. 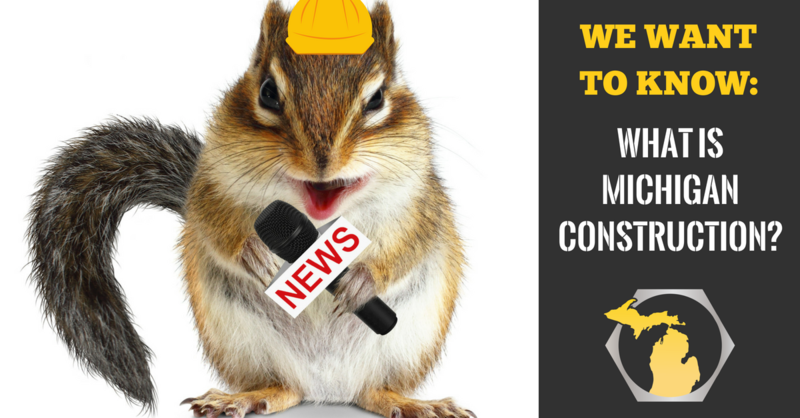 The great news is, spreading the positive message about construction is working and people all over the state are engaging with the construction industry in new and exciting ways! Due to the support of our over 50 partners, our messaging has been see over 50-million times and continues to grow! Our goal is to have hundreds of employer partners at low partnership levels producing a massive voice changing the conversation! An added bonus of the marketing systems that we have built also lends to the ability to feature our employer partners and promote their career opportunities as well through Partner Articles, Social media promotion of their jobs and in our "Sexiest Job of the Week." We love construction and we want to see people engage with and appreciate it as much as we do! If your company is interested in learning more about or being a part of what we are doing for the construction industry, please click the "Information on becoming a partner" button below to get connected today!